ourney to Philadelphia — the Cradle of Liberty — site of the Continental Congress and signing of America’s Declaration of Independence. Follow General Washington from his loss at Brandywine and harsh winter at Valley Forge to his Delaware crossing and surprising victory at Princeton. Learn about the Constitutional Convention, the War for Independence, the Great Awakening and much more! Our family has traveled extensively and this was our first faith-based tour. There is something patently different about traveling with a group of believers and learning about the sights from a Christian perspective. It was an extraordinary trip that deepened our faith and bonded our family.” —Kerry N.
Farewell Banquet at Historic City Tavern, Friday, October 18. Our cancellation policy is simple and reasonable, not punitive. You only pay loss suffered by Landmark Events because of your cancellation, no penalty or “service charges”. If the tour is not fully booked at the time you cancel, we will refund your full registration less any nonrefundable payments we made to hotels, coaches, etc. on your behalf. We will gladly issue full refunds for spaces that are re-booked, regardless of the time of cancellation. Depending on the tour, you may want to consider travel insurance which can cover losses due to illness, flight cancellations and lost luggage. InsureMyTrip is a good place to start when researching travel insurance. *Prices above reflect 15% discount available to the first 15 to register. ** Applies to children 4 and under who ride in a lap and share meals. Groups of 5 Or More Save 20%! Individuals Enjoy a 15% Discount!  Journey with us October 14-18 to Philadelphia — the Cradle of Liberty — where the first Continental Congress convened and patriot leaders later signed America’s Declaration of Independence. Follow General George Washington through some of his most difficult and daring days of service — from his loss at Brandywine and his long winter at Valley Forge to his famous crossing of the Delaware and his surprising victory at Princeton. Walk the halls of the College of New Jersey where Presbyterian pastor John Witherspoon trained one-fifth of the members of the Constitutional Convention, and visit the nearby graveyard where such godly luminaries as Jonathan and Sarah Edwards, Samuel Davies, and Ashbel Green are laid to rest. Learn about the Constitutional Convention, the War for Independence, the Great Awakening, and much more! Dan Ford has been an avid collector of artifacts and historic documents for nearly two decades. As a researcher and historian, he has compiled an archive of original source materials by which to verify contemporary accounts of the lives of our forebears. These artifacts range from more ancient cuneiform tablets, scrolls, and pottery, to less ancient pamphlets, maps, broadsheets, books, private letters, and public documents. He has been a group teacher and conference speaker on the subjects of Christian English and American history for the past ten years. His single goal in each presentation has been to explain and document, by way of facts and artifacts, the abundant evidence of our godly cultural inheritance. With twenty-five years in the field of graphic illustration, he is well-known for his illustrated work In the Name of God, Amen. Dan and his wife Theresa reside in St. Louis, Missouri. We selected the Hampton Inn King of Prussia / Valley Forge (530 W Dekalb Pike, King of Prussia,) for our headquarters and to host our evening fellowship sessions. Rooms with two queen beds or one king bed are available at the group rate of $104 per night, plus tax. Hot breakfast, WiFi and parking are included in the room rate. Secure your room online here, or by calling (610) 962-8111 and requesting the Landmark Events rate. You are under no obligation to stay at the Hampton and there are many lodging options in Philadelphia, with a wide variety of rates and amenities. We find Trip Advisor to be helpful when scouting properties, and VRBO is an excellent resource for families seeking furnished houses or apartments in the area. Keep in mind the coach will depart from the Hampton each day.